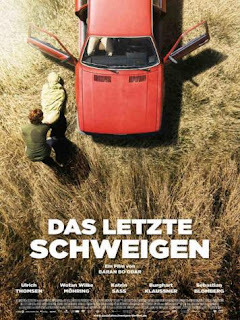 I was recently invited to an early showing of The Silence, based on Jan Costin Wagner's novel Silence. Unfortunately I couldn't attend but it is now on at a couple of cinemas in London: the Odeon in Panton Street and the Greenwich Picture House. I'm not sure if it's on anywhere else at the moment. Silence is the second book in the Kimmo Joentaa series but for the film the setting has been moved from Finland to Germany. and Amanda Gillies reviews the second of the two books not for the faint-hearted: Nigel McCrery's Scream the third in the DCI Lapslie series set in Essex which is available in paperback. Forthcoming titles can be found by author or date or by category, here and new titles by David Belbin, Alex Connor, Ruth Dugdall, Paulus Hochgatterer, Bill Kitson, Alexander McCall Smith, Alexander Soderberg, Dag Solstad, Ferdinand von Schirach and Tom Winship have been added to these pages this week. Europe is in the midst of a crime wave—a surge of creative and innovative detective fiction that pays its respects to the traditions of noir while incorporating the psychological novel, the political thriller, and the border-crossings that reflect the increasingly globalized culture of the EU. The eighth annual New Literature from Europe Festival organized by eight European Cultural Institutes in New York, will present a series of readings and discussions in Manhattan and Brooklyn from November 15-17, 2011, with writers Caryl Férey (France), Zygmunt Miłoszewski (Poland), Ana Maria Sandu (Romania), Stefan Slupetzky (Austria), José Carlos Somoza (Spain), and Jan Costin Wagner (Germany), joined by U.S. guest author Dan Fesperman. A special film series complements this year’s spoken word programs, featuring both adaptations of crime novels and new approaches to the genre that play with the conventions of film noir. Presented in collaboration with the Museum of the Moving Image from November 18-20, 2011, the series ranges from Czech and Austrian films of the ‘40s and the early ‘50s rarely seen in the U.S., to contemporary productions from France, Germany, Italy, Poland, and Romania, including the critically acclaimed works Aurora by Cristi Puiu and The Double Hour by Giuseppe Capotondi. Authors Zygmunt Miloszewski and Jan Costin Wagner will be present to discuss film versions of their novels featured in the Festival. You can read a longer version of the press release with authors bios here. You can follow New Literature from Europe on Facebook. I've very recently read Mark Kermode's The Good, the Bad and the Multiplex in which he devotes a whole chapter (and there're only 6 so it's a good portion of the book) to the plight of films not in the English language and those usually dreadful, misguided English-language remakes. He also asks, when was the last time you saw a "foreign language" film gracing the front cover of a film magazine like Empire. In the book he can't think of an example however he may have discovered once since, I don't know. He also complained how his announcing the BAFTA (for Film Not In The English Language) for The Girl With The Dragon Tattoo was cut from the BBC's programme as though it was of little interest. 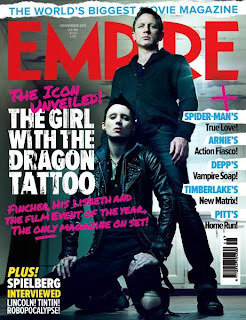 Compare these points with the current cover of Empire and its coverage of "the film event of the year". Plus I don't know what Dr K will think of Julian Sands' involvement. 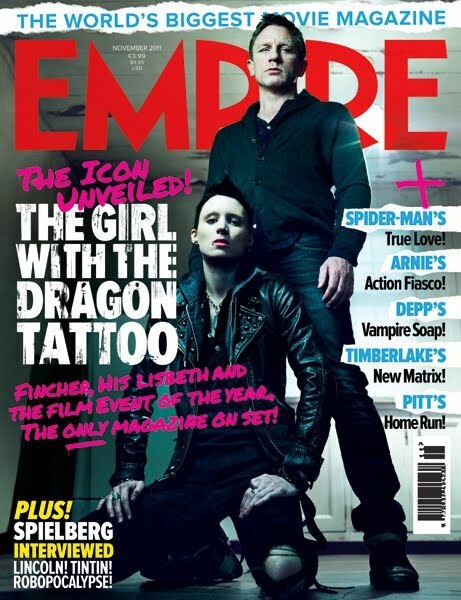 Thanks to Petrona for the Empire cover suggestion. This study day, organised by the European Studies department of the British Library, explores contemporary crime fiction from across Continental Europe. The speakers will include academics, publishers, writers and translators. Among the topics covered will be crime fiction as a vehicle for social and political analysis, both contemporary and historical, and the part crime fiction has to play in the transmission of European cultures. The day is principally as a seminar for researchers but the contributions will appeal to an audience of specialists and non-specialists. Jakob Stougaard-Nielsen (University College, London), Crime and Happiness: Scandinavian Crime Fiction and End of the Welfare State. Aka Morchiladze, Crime fiction as device. 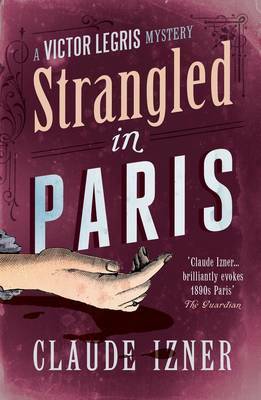 Angela Kimyongür (University of Hull), Dominique Manotti and the roman noir. 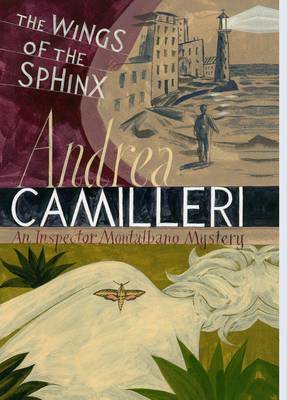 Giuliana Pieri (Royal Holloway, London), Camilleri’s “historical” crime novels: Sicily, Italy and the Risorgiment. Olga Sobolev (London School of Economics), Boris Akunin and the Rise of Russian Detective Genre. Claire Gorrara (Cardiff University), Past crimes, present memories: French crime fiction and the Second World War. Danusia Stok, The force of setting in the fiction of Marek Krajewski. 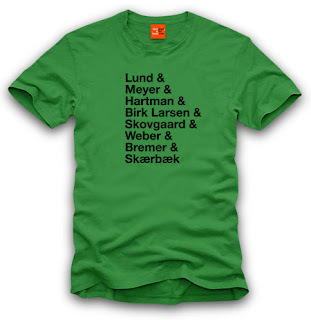 Barry Forshaw, Through a Glass Darkly: Mankell, Larsson and Nesbø. Gary Pulsifer (Arcadia Books), EuroCrime in the wake of the Nordic Invasion. Amanda Hopkinson (City University), Catalan cops and Spanish seductions: making crime pay. I'm very tempted to go, though I worry I'll be out of my depth! Book a place (the price is £20) via the British Library's website. Unfortunately there won't be any new reviews this weekend as I'm not around but last night I refreshed the website and added extra countries to the bibliographies page. These country listings are based on the author's place of birth, rather than where they are now living or any new nationality they may have taken or the country they are writing about, which may be different to where they were born. The Bibliographies page now has more authors by 'Countries', plus I've removed the 'Eastern Europe' catch-all and put in the individual countries. The Author Websites page now lists 906 sites. The New & Upcoming Releases pages have been updated (added since last weekend: Tom Benn, Jane Casey, Michael J Malone, VM Whitworth and Felicity Young). I've added new bibliographies for: Tom Benn, Philip Carter, Patrick Conrad, Dean Crawford, Bernhard Jaumann, Eva Joly & Judith Perrignon, Vilmos Kondor, Selma Lagerlof, Rosamund Lupton, Mark Mackay, Michael J Malone, D E Meredith, A D Miller, Mark Peterson, Sam Ripley, Norman Russell, Alex Sharp, Christopher Wallace, Jan Wallentin and V M Whitworth.. I've updated the bibliographies (ie added new titles) for: Harry Bingham, S J Bolton, Gyles Brandreth, Simon Brett, Declan Burke, Jane Casey, Agatha Christie, Michael Cordy, Elisabeth J Duncan, Gordon Ferris, Elly Griffiths, Lucretia Grindle, David Hodges, Arlene Hunt, Maxim Jakubowski, P D James, Peter James, Tobias Jones, Mons Kallentoft, Christobel Kent, Barry Maitland, J D Mallinson, Liza Marklund, Glenn Meade, Zygmunt Miloszewski, Harri Nykanen, Martin O'Brien, Anne Perry, Matt Benyon Rees, Phil Rickman, Michael Ridpath, Jarkko Sipila, Anna Smith, Cath Staincliffe and Felicity Young. This week's selection for "cover opinions" is the US and UK covers for James Thompson's Finland-set Snow Angels. 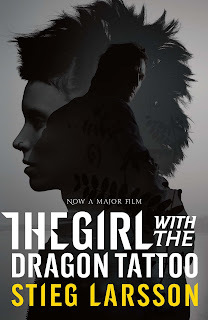 So what are your thoughts on the US (LHS - complete with "If You liked The Girl with the Dragon Tattoo, you'll love this!" sticker)) and UK (RHS) covers? 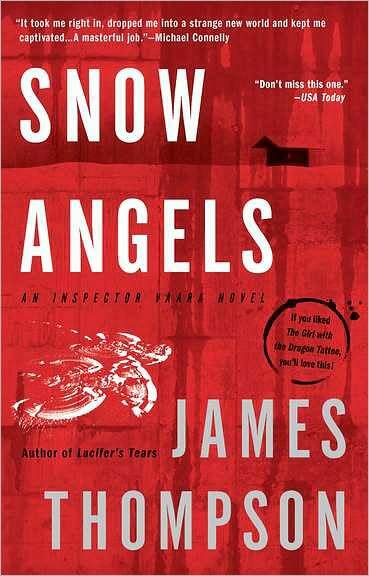 Which would entice you to pick the book up if you were not familiar with this title? 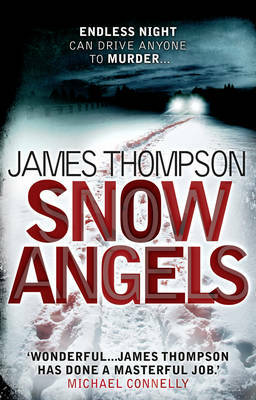 Read the Euro Crime review by Terry of Snow Angels. and Amanda Gillies reviews the first of Anna Smith's new series, The Dead Won't Sleep, set in Glasgow. Forthcoming titles can be found by author or date or by category, here and new titles by Gordon Ferris, Mons Kallentoft, Matt Benyon Rees, Michael Ridpath, Anna Smith and Jan Wallentin have been added to these pages this week. The winner will be announced on November 30 at the Athenaeum in London. MacLehose Press are delighted to announce that a special, leather and stud bound, one-off boxed set edition of the MILLENNIUM TRILOGY will be auctioned at Sotheby’s on the 15th Dec to help raise money for Stieg Larsson’s magazine, Expo. The Boxed set includes the letter of rejection from the Joint Committee of Colleges of Journalism in Stockholm to applicant 493 [Stieg Larsson] and features a charming doodle by Stieg Larsson on the back of the letter. Part of the letter is visible in this recent Guardian article. You can read the whole Sotherby's press release (pdf) on the Euro Crime website. 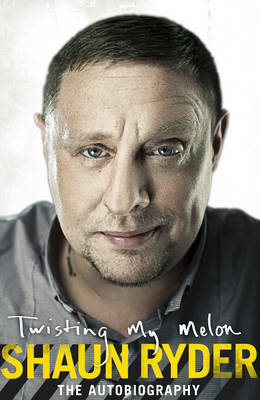 Working in conjunction with the estate of Stieg Larsson and the Hedlund Literary Agency, DC Entertainment and its Vertigo imprint will adapt Larsson’s Millennium Trilogy novels—the books have sold more than 60 million copies— into a series of graphic novels. Each book in the trilogy will be adapted into two graphic novel volumes available in print and digital formats. 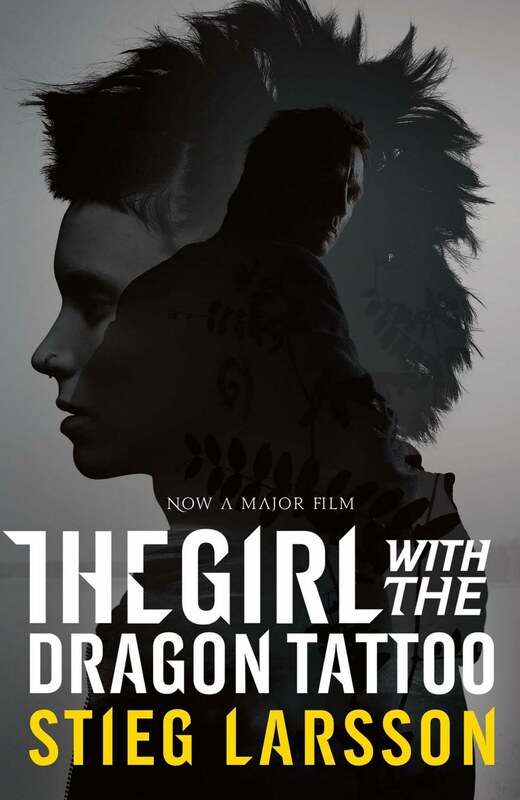 The Girl With the Dragon Tattoo graphic novel volumes will be released in 2012 and graphic adaptations of The Girl Who Played With Fire and The Girl Who Kicked the Hornets’ Nests will be released in 2014. 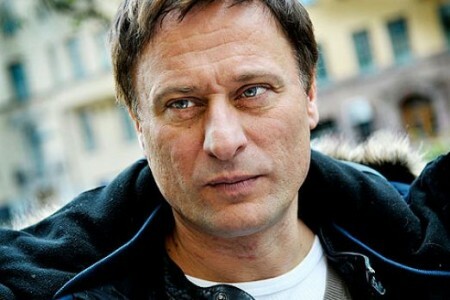 “Stieg always liked comics and it will be exciting to see the unforgettable characters he created come to life on the comics page,” said Joakim Larsson, younger brother of the journalist and novelist, who died in 2004. 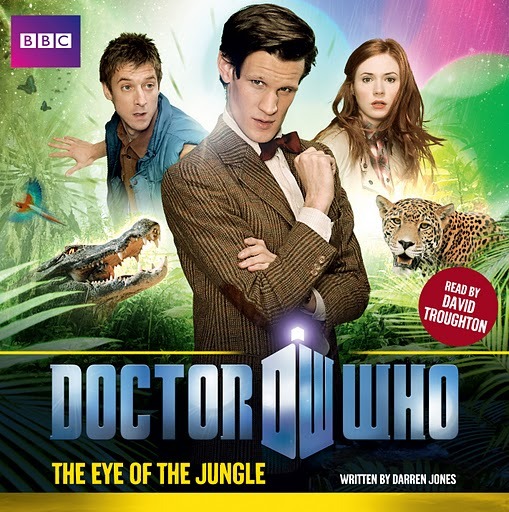 In The Eye of the Jungle the Doctor takes Amy and Rory to the Amazonian jungle in 1827. Shortly after leaving the TARDIS they are surrounded by crocodiles. They are saved by Oliver Blazington, a mercenary/hunter who is there to capture animals for his boss Garrett who will subsequently exhibit them at London Zoo. However the locals are restless as domestic animals and people are disappearing and the priest's housekeeper refers to an "Eye" that seems to be involved. This is an entertaining adventure, revealing the Doctor's empathy for not just humans but other animals too and he maintains his refusal to be used as a weapon by those who are taking the missing life-forms. I loved the fact that cd1 ended on a cliff-hanger worthy of classic Doctor Who tv episodes. Also that Amy and Rory don't require saving, rather the reverse. David Troughton, son of 2nd Doctor, Patrick, and who appeared himself in the 10th Doctor episode Midnight takes over the narration duties this time round. His Doctor doesn't sound much like Matt Smith but does sound similar to Clive Mantle's Doctor in The Coming of the Terraphiles; his Amy is a bit wobbly but he does get Rory's inflection down to a T. Impersonations, intended or otherwise, aside he does a good job with the story-telling. The sound-effects continue to improve. In the early days there was nothing, that was replaced by a smidge of music but now if someone drops something you hear a clang. They don't overpower the narrator this time round, which has been a complaint of mine before. The winners of the second round of CWA Daggers were announced on Friday night. Quotes from the winners can be found on the press release and more information is available on the CWA's website. The TV and Film Dagger winners are also listed below. and I also review the debut from Kristina Ohlsson: Unwanted, tr. Sarah Death which is gripping despite being a bit predictable. Forthcoming titles can be found by author or date or by category, here and new titles by Declan Burke, Patrick Conrad, David Hodges, Arlene Hunt, Eva Joly & Judith Perrignon, J D Mallinson, Zygmunt Miloszewski, Harri Nykanen, Sam Ripley and Norman Russell have been added to these pages this week. Euro Crime has 10 copies of Strangled in Paris by Claude Izner to giveaway. To enter the draw, just answer the question and include your details in the form below. This competition is open to UK residents and will close on 31 October 2011. I've stumbled over these The Killing inspired t-shirts over at Den of Geek (where I read my Dr Who reviews!). Available in different colours and sizes, I'm tempted by the removal van one! Producer Stephen Evans, whose previous credits include The Madness of King George and The Wings of the Dove, is planning a $50m film about the princess, and has hired Ken Wharfe, Diana's former head of private security, and her former private secretary, Commander Patrick Jephson, to provide authenticity. No one has yet been cast in the lead role, nor has a director been attached, but Evans has commissioned a script from crime novelist Philip Kerr. The project has been in development for two years, and apparently will focus on the difficult period of her life during her marriage to Prince Charles and their subsequent divorce in 1996 – but will not tackle her relationship with Dodi al-Fayed. 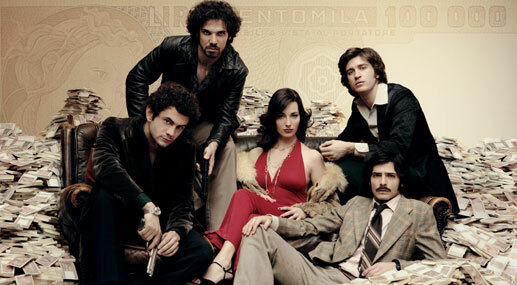 Set in Rome during the 1970s, Romanzo Criminale (Crime Novel) is based on the award-winning film of the same name which tells the true story of the Banda della Magia, the prolific and bloodthirsty crime family in Italy who were responsible for some of the most violent crimes the country had ever seen. Political murders, spectacular bombing and high-profile kidnappings, the story is set in the violent underworld of Rome, a patchwork of petty gangs and small-time crooks where one young man, known only as The Lebanese, dreams of rising to the top of the pack. As he proves himself through a series of brutal crimes, he makes valuable connections among corrupt cops and politicians, and in the Secret Service, which seeks to enlist the gang to destabilize the government and provoke a right-wing coup. Pitted against the world of women, drugs, gambling and clubs of The Lebanese and his cohorts is the young idealistic police inspector Nicola Scialoja. Seemingly the one man not in the pay or pocket of the Mafia or the corrupt State, Scialoja is determined to bring the ferocious gang to justice, whatever the cost to himself or to the rules of the law. And the reviews are back! A slightly longer break than I'd anticipated due to family matters but 9 new reviews follow below plus a very short-term competition to win tickets to meet actors from The Killing (Danish version) at The Scandinavia Show next Sunday. I have 4 tickets to giveaway, just enter a few details in this form. and the second is Oliver Stark's 88 Killer, his second book set in New York City and which Michelle Peckham found "absorbing". In 2004, a remarkable archive was unearthed at Agatha Christie’s family home, Greenway – 73 of her private notebooks, filled with pencilled jottings and ideas. Hidden within this literary treasure trove were two rare, never-before-published short stories, discovered by archivist John Curran and published in his book ‘Agatha Christie’s Secret Notebooks: Fifty Years of Mysteries in the Making’. 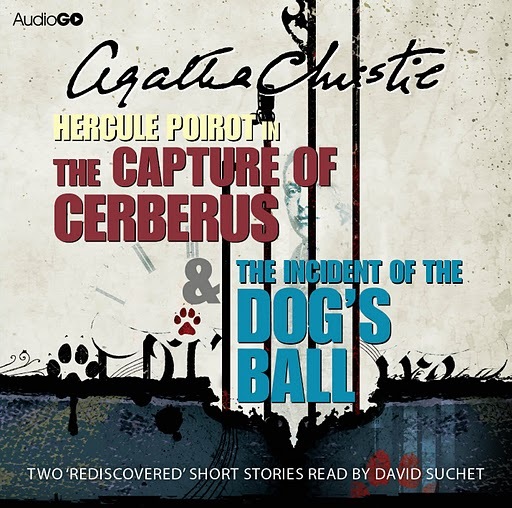 ‘The Capture of Cerberus’ was intended to be the twelfth in her collection of Poirot stories, ‘The Labours of Hercules’, but she eventually rewrote it, keeping only the title. ‘The Incident of the Dog’s Ball’, probably written in 1933, was reworked as the novel ‘Dumb Witness’ (1937) with a different murderer and motive. Review: In The Capture of Cerberus, Hercule Poirot is in Geneva. The Second World War is looming and he wishes that people would be passionate about peace rather than fighting. A meeting with the fascinating Countess Vera Rossakoff leads him to investigate a case for a German man who cannot believe that his son assassinated an important leader. Poirot must find the truth for him. In The Incident of the Dog's Ball Poirot appears in a more typical investigation, when he receives a very delayed letter in the post from an elderly lady who is troubled. When Poirot and Captain Hastings go to visit her, they are too late - she has died. The companion inherits, cutting out the two heirs. Was the death natural causes, or murder? 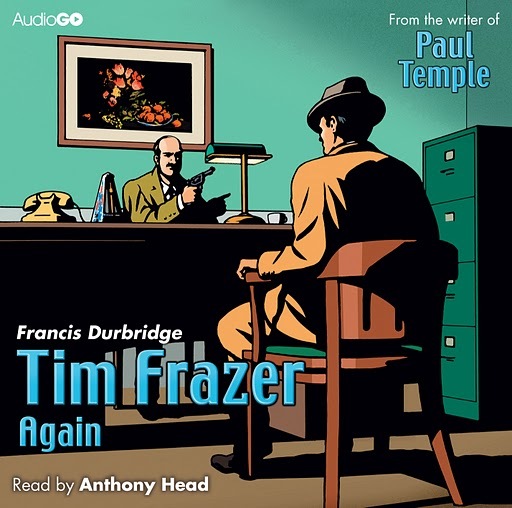 A fabulous coup for AudioGO, getting the actor who is Poirot to narrate these two rediscovered stories. David Suchet has a compelling natural voice and of course can perform the necessary accents and voices well (with the exception of the oddly Welsh sounding Russian one given to Vera Rossakoff). In The Capture of Cerberus gives a glimpse into life as tension grew in Europe and is a rather different tale than you might expect from the author associated with vicarages and stately homes. In this one Poirot plays more of a central control figure, getting others to do the leg-work, rather than getting out himself. 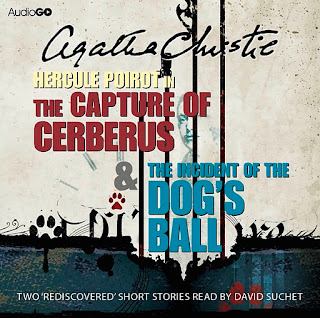 The Incident of the Dog's Ball, which is a few minutes longer than the other story, is a cut down version of a typical Poirot investigation - you may be able to solve the case before Poirot, just. With the number of new Suchet/Poirot/Christie episodes on the tv running low, as most have been filmed now, I'm very grateful for these additional two stories which I enjoyed listening to.